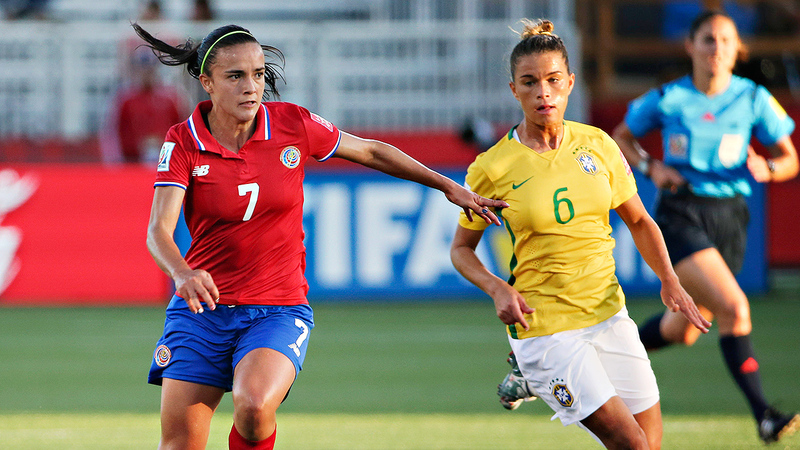 Tamires, right, and Brazil are through to the round of 16 after seeing off Costa Rica 1-0. 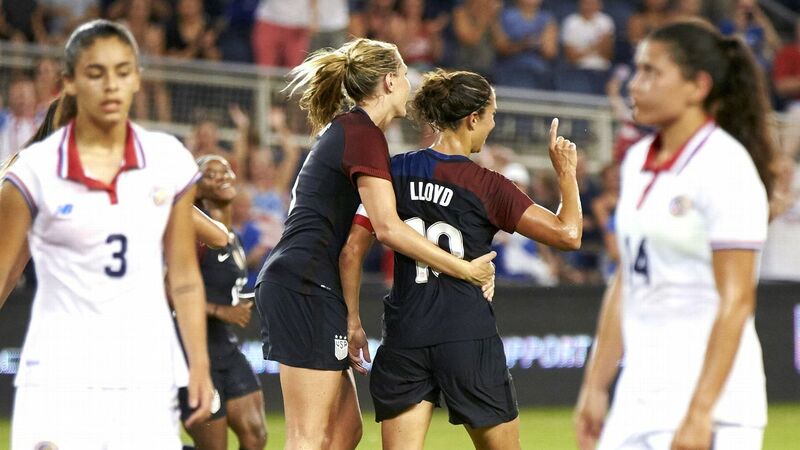 Raquel Fernandes scored in the 83rd minute and Brazil eliminated Costa Rica from the Women's World Cup with a 1-0 win on Wednesday in Moncton, New Brunswick. The Costa Ricans needed a result against Brazil, who had already clinched the top spot in Group E after a pair of wins. 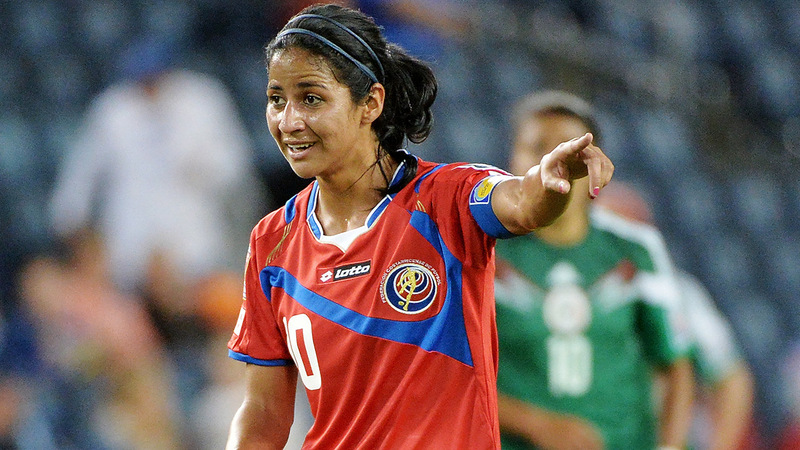 But Fernandes beat Dinnia Diaz and the Ticos were denied a spot in the round of 16. The Spanish team celebrates a first-half goal from Vicky Losada in their 1-1 WWC draw with Costa Rica. 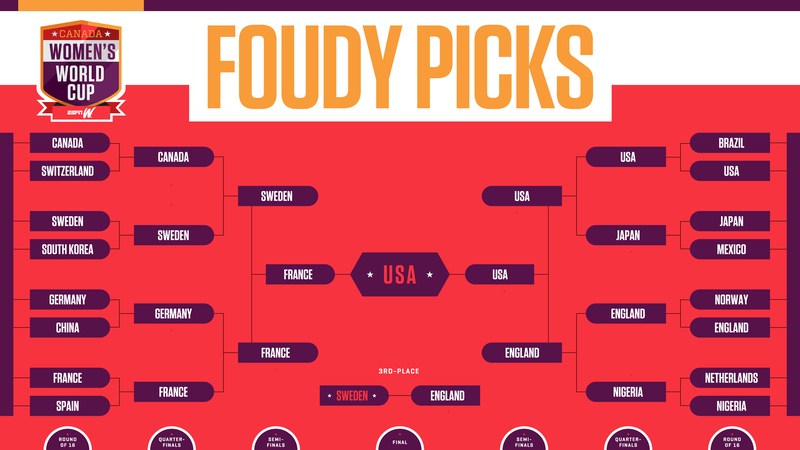 Julie Foudy predicts how the tournament will play out.